Are you tired of seeing roaches crawling through your floors, ceilings, and the walls? Did you know that they carry bacteria in them? If so then knowing the best roach bait to use for these notorious pests is essential. Cockroaches are known to be carriers of bacteria and diseases, which is often the reason of food poisoning and such. They are also known as allergens, and people who are sensitive to this can develop asthma that is acute. They are often seen in moist areas and areas where food is near, but they often live in areas that are secluded and areas that have cracks. Due to this common problems, more and more people are looking for ways on how they can get rid of these pests. There may be a lot of roach killers in the market today, wherein most of them include chemicals. Of course, chemicals are not only bad for these roaches, but they are also but for you and your family, due to the toxins that they have. An alternative to this are roach baits and we will talk more about them below. One of the most useful products that are use to kill roaches are baits. For people who don’t know, roach baits is equipped with an insecticide that is know to be slow acting. The roaches will start feeding on the gel or the bait, before they go back to the nest where they are currently living. The bait will then be carried along with them to their nest, which will then help kill the other cockroaches once it is expelled in the fences and sputum. The good thing about roach baits is that they don’t produce any odor and no mixing required, which means that the chemical won’t spread through the air, which can be hazardous for you and your family. One of the most popular roach baits is the bait stations and is often see indoors and used by most professionals. A bait station is consist of three different parts, which is the station or the enclosure that will hold the two other parts, which are the attractant and the killing agent. The attractant consists of active ingredients that are usually not disclosed by most manufacturers, while the killing agent’s ingredients are in the packaging. One of the best things about using a bait station is that it can be used easily. All you have to do is to place them in an area where traffic is high. It is always important to place them in areas where pets and children won’t have access to these baits. If you are unsure on how you are going to use it, then reading the packaging’s instruction is important. Gel baits are simply gels that have an attractant and killing agent, which is also used indoors. They are in fact popular to exterminators because of the effectiveness that it has. Gel baits come in three different parts, which are the tubes for the bait guns, aerosol cans, and the syringe. You may opt to use the syringe one since the bait guns are often use by professionals. The syringe will let you put gels in holes, cracks, and areas that are small. Using gel baits have a lot of advantages, one would be it can be applied easily. It also has the ability to stick to surfaces, which means that you can apply it to any part of your house. You also don't have to worry about their effectiveness because they are moist most of the time and can retain their moisture for a long period of time. Another type of roach bait is the granular baits and are not that popular to residential areas. This bait is often used to control outdoor roaches that are bigger, though some people are still using granular baits at home. But if you are planning to use this as well, then placing them in spaces that are void, basements, and attics would be ideal. One of the best things about the granular baits is that it can easily cover an entire big area if needed. Just make sure to not expose the granular in moist or water. The only problem seen in this is pets and children may mistake these granular as food, which can be very dangerous. These are the best roach bait in the market to choose from, for you to get rid of roach infestation in your home. For this review, the winner here is Advion Syngenta Cockroach Gel Bait. The reason behind this is because of its ability to kill the most common roach species that can often be seen at home and in commercial areas. It can also be used easily, so applying it won’t be a problem at all. One of the first things that you need to do is to empty all the food packaging that you have at home. It is strongly important to remove the food sources when you are going to use any types of roach baits. Keep the area clean, for the roaches to only go to the baits. There may be a lot of locations in your house, but it would be best to place them in places where you often see them. Since roaches are very much attracted to food and moisture, then placing some baits in the bathrooms and kitchen would be essential. It would also be great to place them in areas that are small, including under your toilet, dryer, washer, cupboards, under the fridge and even near the garbage containers. Of course, once you have placed them it would be best to leave them undisturbed for a couple of weeks or so. 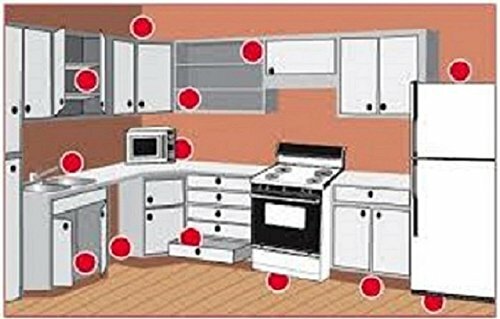 Avoid moving them or even check if there are already roaches inside. The reason behind this is because roaches prefer living in areas that are undisturbed. Now that you have read about the different types of roach baits that you can purchase and how to effectively use then, then knowing the best roach bait today is essential. Below are the reviews that will help you decide on what bait to purchase. 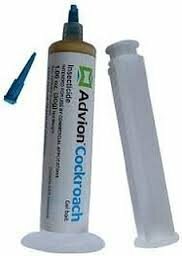 Advion Syngenta Cockroach Gel Bait is one of the unbeatable roach killers in the market today. It is known to perform well and has a unique bait metric that can target even the most complicated species of roaches today, including brown banded, American, and German roaches. The good thing about this is you can easily apply it to crevice or crack, and roaches will surely be killed by this gel. The active ingredients of the Advion Syngenta Cockroach Gel Bait is the Indoxacarb, which targets most cockroaches. 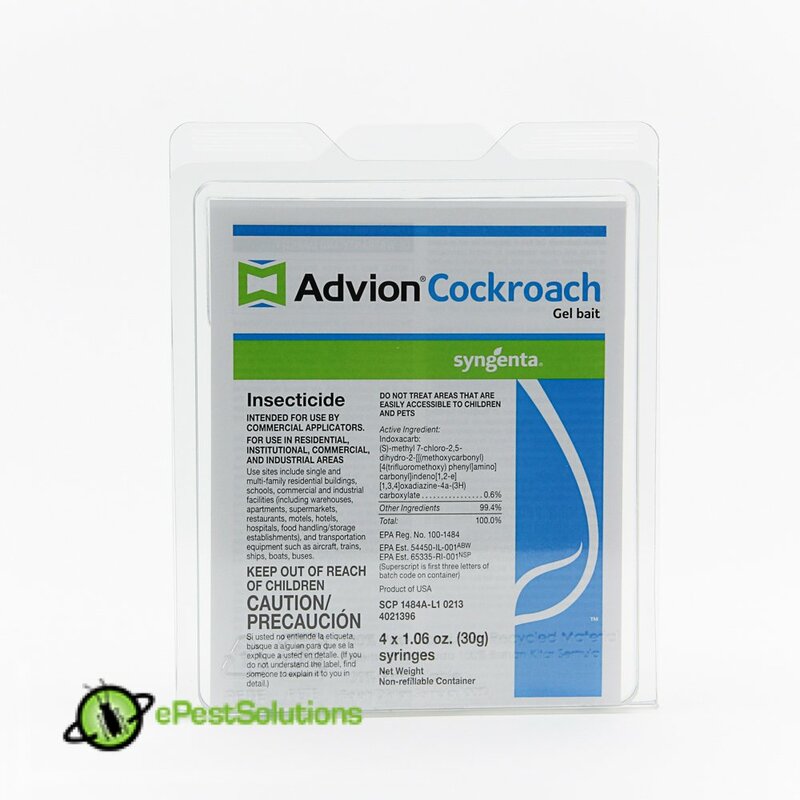 The Advion Syngenta Cockroach Gel Bait is often used by professionals to eliminate the infestation of roaches in just a short period of time. Once applied, expect to kill 7 to 10 roaches per day until it decreases. Another good thing about this gel is that it has the ability to instantly kill the roach after a few minutes of eating it, which makes the product highly effective. 30 Gram Tube Dupont Advion Cockroach Roach Gel Bait with Plunger is equipped with an active ingredient of inoxacarb. It is particularly designed to kill roaches of different species, such as brown banded, oriental, asian, brown, smoky brown, Australia, American, and German. It can yield 3 to 5 spots of gel for every 10 feet for homes with infestations that are intense. For moderate ones, 3 spots will do for every 10 feet. You can use this bait both outdoors and indoors for both industrial, residential, and commercial use. The 30 Gram Tube Dupont Advion Cockroach Roach Gel Bait with Plunger is also being used by professionals because of the effectivity that it has. In fact, a reduction is also spotted after a few days of use. This product has an instruction in the packaging and following them is highly beneficial for it to be truly effective. 2 Tubes Maxforce FC Magnum Cockroach German Roach Pest Control Gel Bait is one of the fast acting and newest roach bait in the market. It has the ability to provide you with five times its fipronil and a ContactX TM which is known to be a new technology when it comes to roach baits. 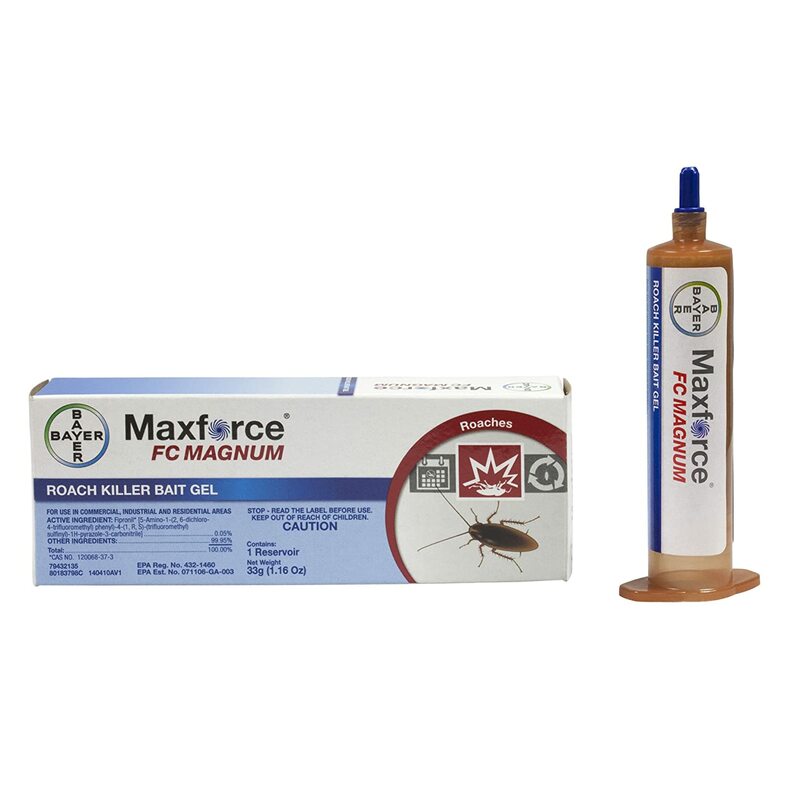 The Maxforce Magnum formula is what makes the gel irresistible to almost all roaches. This product comes in a 33 gram of syringe and a plunger that is made out of plastic. The 2 Tubes Maxforce FC Magnum Cockroach German Roach Pest Control Gel Bait should never be sprayed near baits or use heavy cleaners or detergents, since the effectivity can be affected. It would also be better to avoid using it in places that are too dusty, since the gel will only dry out and the roaches won’t be able to eat them. This product can be used outdoor and indoors in residential and commercial areas. Lastly, it would be best to keep the capped tightly closed for the product to last for 2 whole years. 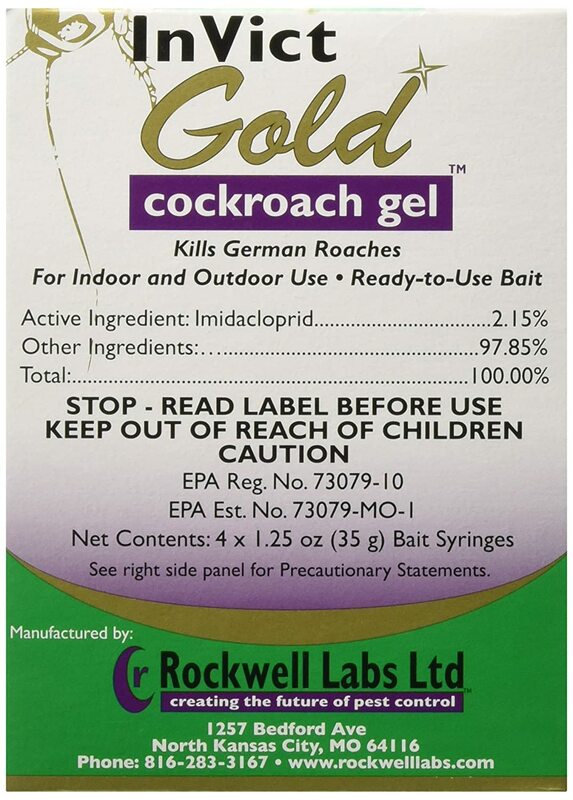 Invict Gold Cockroach German Roach Control Gel Bait 4 Tubes with Plunger is consist of imidacloprid which is known to be its active ingredient, which can target German roaches. It has the ability to control rapidly the roaches so you will surely have no problem with them after a few days of application. Another good thing about this product is that it has a food attractant ingredients, which makes it attractive for roaches. The Invict Gold Cockroach German Roach Control Gel Bait 4 Tubes with Plunger is known to be both insecticide and both since it can trap and kill the roaches that are roaming around your house. The product comes with a syringe so you no longer have to worry about reaching places that are too small, including cracks and under the appliances that you have at home. 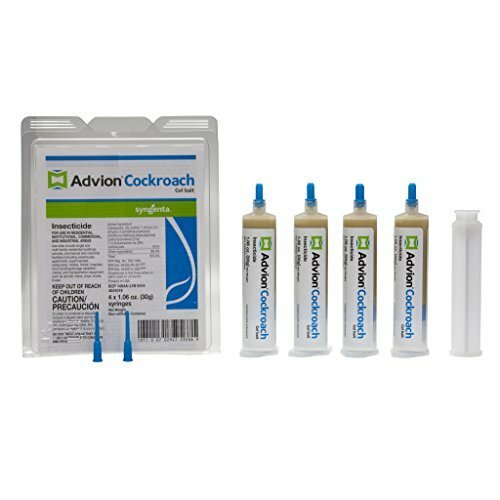 4 Tubes and 4 Plungers Advion Coakcroach German Roach Pest Control Insecticide Gel is designed to control most roach species, including brown banded, oriental, Asia, brown, smoky brown, Australian, American, and German. It can also be used outdoors and indoors, and can easily be applied to crevice and cracks. You can use this product in retail, aircraft, trains, buses, hotels, nursing homes, schools, hospitals, kitchens, homes, and industrial facilities. The 4 Tubes and 4 Plungers Advion Coakcroach German Roach Pest Control Insecticide Gel needs to be applied in 3 to 5 spots if there is an infestation that is heavy, while for moderate ones, 1 to 3 spots will do. Another good thing about this gel bait is that it combines a bait matrix and an active ingredient that is non-repellent, which makes it highly effective for most roaches. Start eliminating your roach problem in your homes for you to have a free roach home, with the help of the best roach bait in the market.